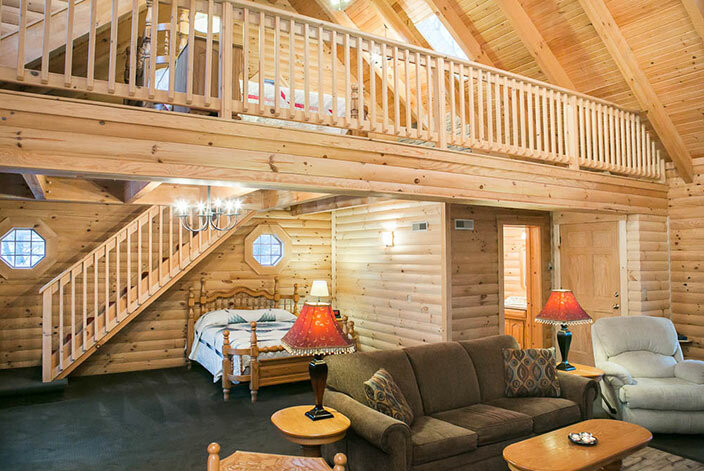 If you are looking for wonderful cabin rentals in Berlin, Ohio you have found them. 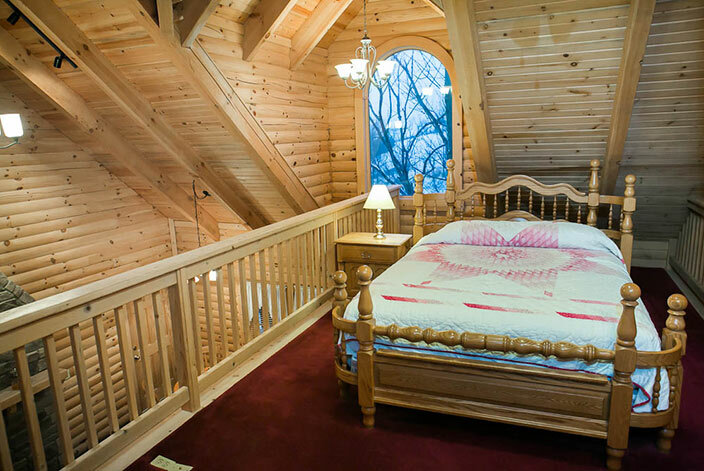 Located on a small side street from downtown Berlin, the Hawk’s Nest is an 1100 square feet log cabin unit featuring all the peace and comforts of log cabin living. 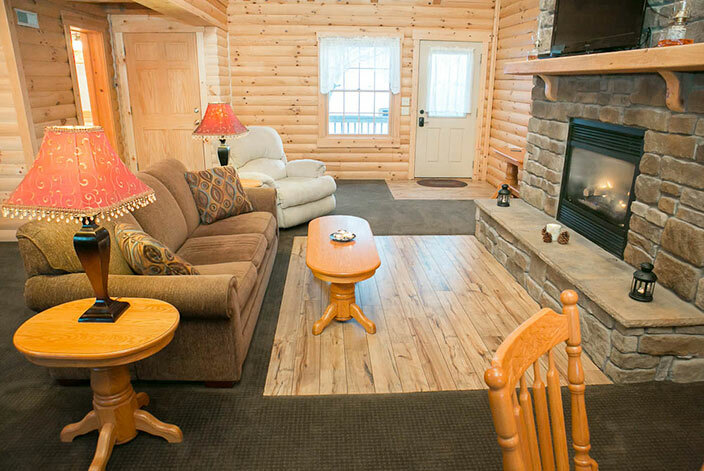 We invite you to relax in your luxury log cabin that features a two person jacuzzi, stone fireplace, full living room with 25 foot vaulted ceilings, kitchen and dining room table, one queen sized bed on the main floor, one queen sized bed in loft, free WIFI, cable TV with DVD player, AC/Heat and a covered front porch with rocking chairs. Great location in close proximity to down town Berlin. 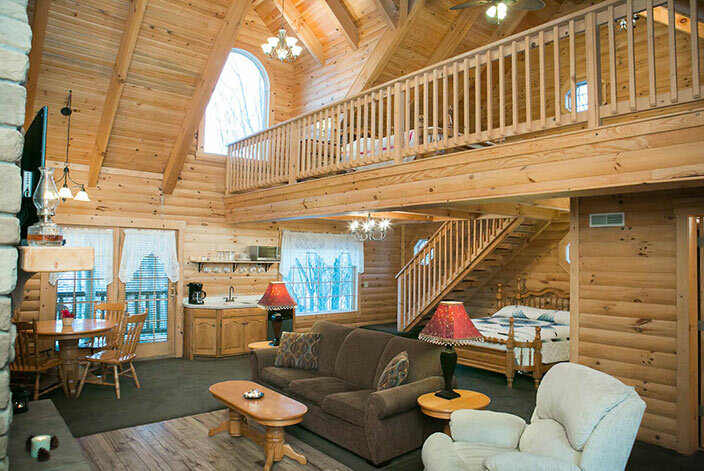 View all of our Berlin, Ohio lodging options. We have something for everyone. This room cannot accommodate children under 12. There was too much good for this to be true. 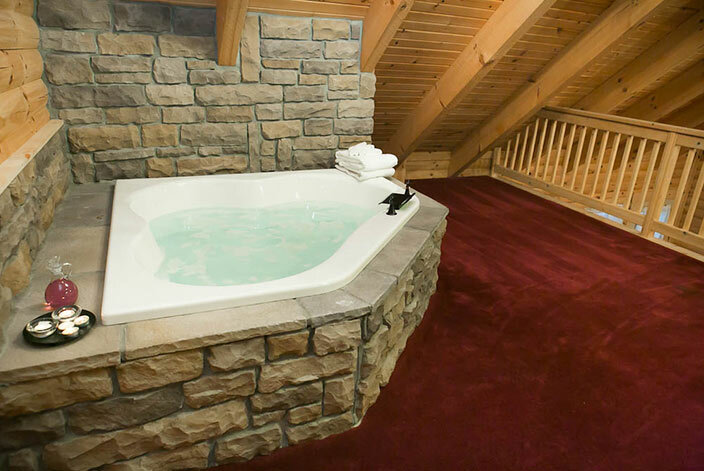 The folks at Amish Country Lodging have done everything right and left little to be wanting. 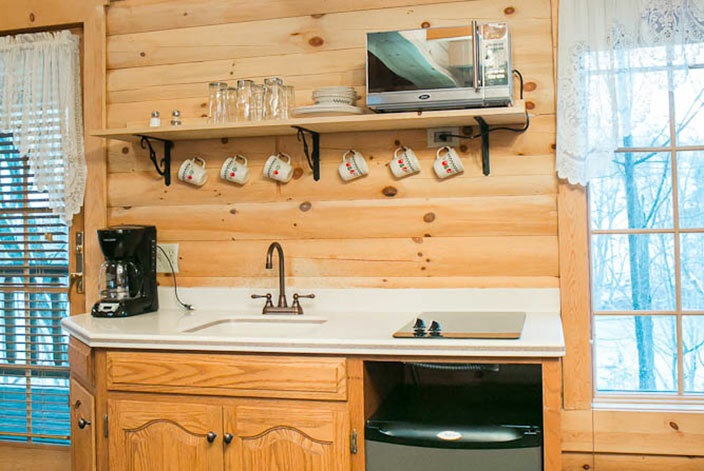 The cabin is within walking distance to downtown Berlin. We walked to breakfast on our first day and spent the rest of the afternoon browsing the many and varied shop on Berlin.